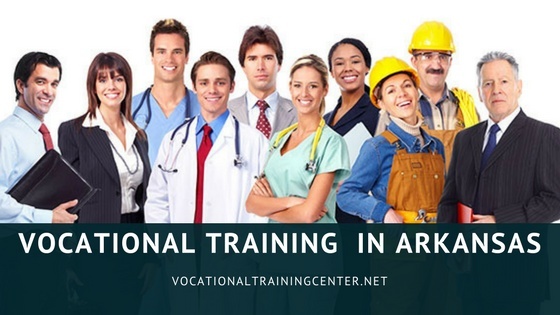 Vocational training schools in Arkansas offers study and training in various job-oriented courses. These courses are in huge demands in the current scenario of the job market. The secondary education system of Arkansas regards vocational and trade education as an important part of this education system. This makes young adults and teens prepare for their desired career early. This region of United States of America offers many types of trade and vocational schools for student’s professional training. After getting training from these institutes the chance of getting a good job is guaranteed in fields of education, health, technology, and business. Developing industries and service sector will attract varied occupation in Business, Manufacturing, Information Technology, Healthcare, Transportation, and Logistics. Due to the growing industries, there is the growth of vocational and trade schools. Low cost of living and affordable education as compared to the other parts of the United States. Good connectivity to exotic locales. About the College: North Arkansas College is a public college offering full 2-year courses. Situated in Harrison area of Arkansas, this College is considered to be one of the most affordable institutions to learn technical and health care study programs. This College consists of 201 permanent faculty members and 205 part-time faculty members to offer to assist around 2,000 students. The Higher Learning Commission (HLC) offers accreditation to this College which is also followed by the esteemed membership from the North Central Association of Colleges and Schools (NCA). 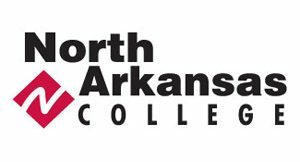 Courses offered: North Arkansas College offers a variety of associate degrees and certificates. It includes Arts, Agriculture, Business, Applied Science, Information Technology, Criminal Justice, Engineering, Health Care, Nursing, etc. It also includes certificate courses in Accounts, Automotive Technology, Welding Technology, Construction Technology, Phlebotomy Technician and more job –oriented courses. Admission: Candidates can fill up the application and registration form from the online catalog at www.northark.edu . You may also the admission representatives at 870-391-3115 to fix up an appointment for admission advice. Moreover, you also need to clear the North Arkansas College’s own admission test. Moreover, good credit scores in your high school examination will also gain your admission at this College easily. About the College: Established in 1975, Arkansas Northeastern College has since served as a Community College in the area of Blytheville. This College is a great place to start your technical and vocational education and training and complete it in two years. This College offers nominal tuition fee of $1,876 for its in-district students to study various courses which is much cheaper than the tuition fee charged by the other colleges of the region. Courses offered: This reputed college offers certificate courses on various technical and proficiency courses. It also offers associate degrees in Science, Applied Science, and other Technical courses. The study programs of technical and proficiency courses includes Administrative Support, Air Conditioning and Refrigeration, Aviation Maintenance, Dental Assisting, Paramedic, Practical Nursing, Welding, Advanced Manufacturing, Phlebotomy, Clerical Support, Construction Technology, Criminal Justice, Early Childhood Education, Emergency Medical Technician and many more certificate courses related to the areas of technical and proficiency. On the other hand, associate degree courses are offered in Steel Industry Technology, Computer Information Systems, Aviation Maintenance, Nursing Office Management, Business, Childhood Education, Criminology, Mathematics, Sciences, Fine Arts, Performing Arts, Computer Technology and many more subjects related to the field of Arts and Science. Step 1: Apply online and submit the necessary documents. Step 2: Conducting placement examination and evaluating the test score guideline. Step 3: Meeting an advisor or counselor regarding career planning. Step 4: Registration of classes for eligible courses. Step 5: Payment of admission and tuition fees for final admission. Students can apply at http://www.anc.edu/admissions/how_to_apply.htm or directly call at 870-762-1020. About the College: College of the Ouachitas is a public college offering 2-year degree and certificate courses in various vocational study programs. Established in 1969, this esteemed institution is situated in the Central part of Arkansas in the city of Malvern. The college has achieved accreditation from the Higher Learning Commission of the North Central Association of Colleges and Schools. Moreover, it has approval from the Arkansas Department of Higher Education and the Arkansas State Board of Vocational Education. The student strength of this college is approximately 1,500. Courses offered: The College of the Ouachitas has a dedicated career center offering vocational theory and training courses in areas of Automotive Technology, Basic Industrial Maintenance, Construction Technology, Cosmetology, Criminal Justice, Medical Profession Education, Pre-Mechatronics, or Welding. These classes are taken 5 days per week in 2-hour block. It also offers certificate programs with vocational training in 6 occupations. These are customer service, bank teller operations, office technology, and industrial labor. Along with this, the College of the Ouachitas also offers computer literacy and job-readiness skill. Other Individual courses include CPR – BLS, welding, and massage training. The approximate course fee for two –year program is $2,790. Admission: Admission is given to those students who are a high school graduate or GED certificate holder or any candidate seeking a transfer. Students seeking admission at the College of the Ouachitas must apply online and submit proof of health checkup, submit ACT, SAT, Accuplacer or COMPASS Placement scores or take the Accuplacer assessment at College of the Ouachitas for a fee of $10.Moreover, you are also required to submit the proof of high school transcript, GED certificate or transfer certificate of the previously attended college or institutions. Students can check more admission procedures and notification at http://www.coto.edu/pages/admission_procedures or simply call at +1 501-337-5000.